Definition at line 31 of file CQEFMSpeciesDM.h. Definition at line 29 of file CQEFMSpeciesDM.cpp. Definition at line 47 of file CQEFMSpeciesDM.cpp. Definition at line 63 of file CQEFMSpeciesDM.cpp. References COL_ROW_NUMBER, CEFMTask::getSpeciesChanges(), mBeginModes, mBeginSpecies, mpTask, and rowCount(). Definition at line 55 of file CQEFMSpeciesDM.cpp. 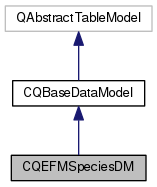 Definition at line 100 of file CQEFMSpeciesDM.cpp. References COL_ROW_NUMBER, FROM_UTF8, CMetabNameInterface::getDisplayName(), mBeginSpecies, and mpModel. Definition at line 158 of file CQEFMSpeciesDM.cpp. Definition at line 170 of file CQEFMSpeciesDM.cpp. Definition at line 164 of file CQEFMSpeciesDM.cpp. Definition at line 39 of file CQEFMSpeciesDM.cpp. Definition at line 152 of file CQEFMSpeciesDM.cpp. Definition at line 123 of file CQEFMSpeciesDM.cpp. 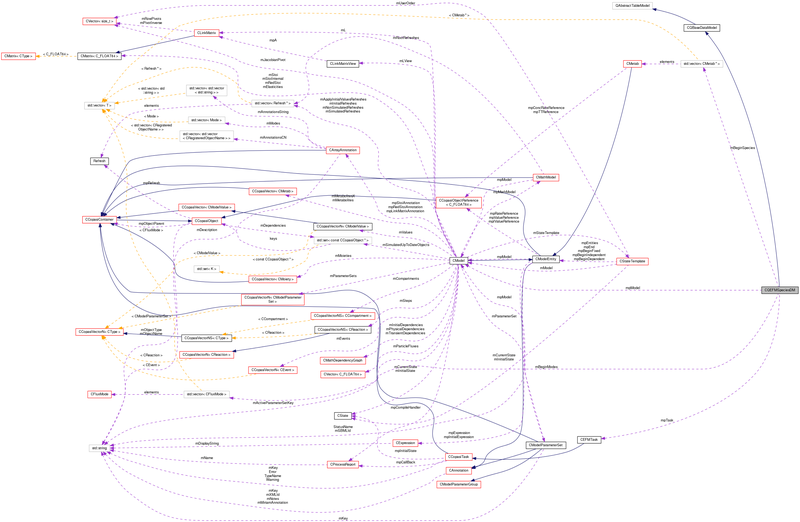 References CCopasiVector< T >::begin(), CEFMTask::getFluxModes(), CModel::getMetabolites(), CCopasiProblem::getModel(), CCopasiTask::getProblem(), mBeginModes, mBeginSpecies, mModesSize, mpModel, mpTask, mSpeciesSize, pTask, and CCopasiVector< T >::size(). Definition at line 60 of file CQEFMSpeciesDM.h. Definition at line 64 of file CQEFMSpeciesDM.h. Referenced by data(), headerData(), and setTask(). Definition at line 61 of file CQEFMSpeciesDM.h. Definition at line 63 of file CQEFMSpeciesDM.h. Definition at line 58 of file CQEFMSpeciesDM.h. Referenced by columnCount(), data(), rowCount(), and setTask(). Definition at line 65 of file CQEFMSpeciesDM.h.